One of the major reasons why most of us use Gmail is because of its generous offering in terms of storage space. With more than 7 GB (and counting) FREE mail space, there is really no need to delete your e-mails. But not deleting emails causes next potential problem – cluttered and unsorted inbox. Good news is, Gmail has an easy and simple workaround. In short, not only you get to keep all emails, they can also be organized, sorted and retrieved easily with the use of Labels. 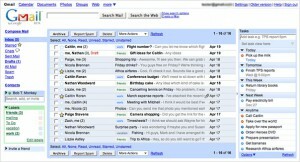 Today, we are going to discuss about searching and retrieving emails. The simple “Search Mail” functions right beside Gmail logo actually does more than we probably think. 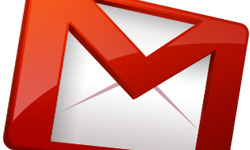 In this post, we are introducing you the useful Gmail search options with examples on how to use them for almost any type of mails easily within your clattered inbox. Here’s a list of Gmail operators you can use them when you search via the search box in your Gmail. Examples of usage are also provided. Here are some operators that allow you to yield more specific and accurate results. The possibilities of manipulating these operators are quite limitless. Here we are providing some of the combination of search queries use frequently or find useful.